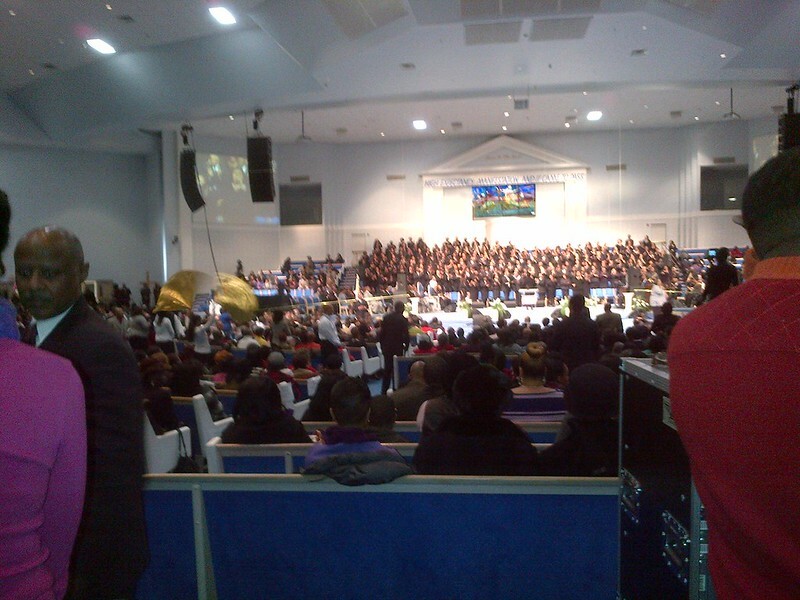 Evangelist TD Jakes was invited to and came to Jericho City of Praise in Maryland on January 4, 2013 to hold a special New Year-welcoming service. A friend invited me to come along and I agreed, if for nothing else, to usher in the year in as great a manner as possible. I had always admired TD Jakes from afar having never seen him live or up close. It turns out however that a lot of people in the DMV area apparently got the same invitation I received. That evening as we drove out to the location near the Redskins' Stadium in Landover Maryland, there was wall-to-wall traffic. At some point, i really considered going back home as it seemed that there was just no way the massive fleet of cars headed to the location will be able to be properly situated in time for the service. At any rate, I am glad that I stuck it out - I was finally able to park the car and walk to the massive auditorium where the action was taking place. The choir was ministering and shortly afterwards Pastor TD Jakes delivered a most rousing and life-changing message; his message was just the right message for the hour. What? You want me to tell you what the title of the message was? I am sorry but I didn't write it down so I can't state it accurately. You want a brief summary of his message? LOL, you should have come there and experienced it yourself. It is basically about how to position oneself to maximally benefit from God's intended blessings for one's life. Seriously, this is better experienced than explained. At any rate, given the generally intense and somewhat chaotic series of events, my friend was able to get a few pictures with her blackberry. I apologize beforehand for the poor quality of these pictures. but they are better than nothing. I hereby give you a few pictures that she managed to capture.